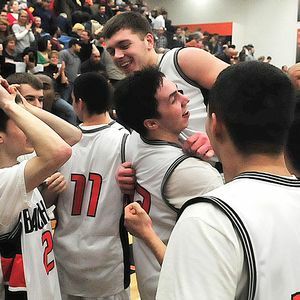 In a tragic event in Fennville, MI, high school basketball player Wes Leonard collapsed and died on the court after making a game winning shot Thursday night. The high school sports standout was just 16 years old and had led his team to a perfect 20-0 season. Leonard had made the winning shot with 30 seconds left in the game and during the postgame celebration collapsed to the floor and onlookers gazed in horror as paramedics tried to revive the player. An autopsy showed that Leonard had an enlarged heart and suffered cardiac arrest because of the condition. Obviously, this event took the small Ottawa County town of Fennville by surprise as most people do not expect a 16-year old athlete who was described as someone who “took care of his body better than probably anybody I’ve ever coached,” by his coach Ryan Klinger. Leonard’s death is the second death of a high school athlete in the small Michigan town in the past 14 months. In January 2010, high school wrestler Nathanial Hernandez, who was only 14 years old, passed away after suffering a seizure at home following a wrestling meet. Fennville is scheduled to start its district playoffs on Monday, but it is unknown if the team will participate at this time.